The District has received questions regarding the 2018 reappraisal process and how it impacts the schools. This brief explanation is provided to help the public better understand the process. 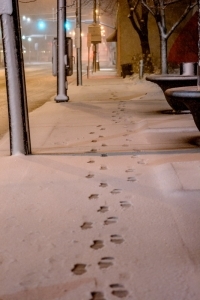 Property value is determined by the Cuyahoga County Fiscal Officer. This is done through a reappraisal every 6 years, an update every 3 years and an inspection of any additions or modifications to a property on an annual basis. As the cost of groceries, automobiles, and clothing increases with inflation, so does the value of real property. In Cuyahoga County, Lakewood had the highest percentage of reappraisal increase. The positive is that this means Lakewood is a strong, vibrant community where people want to live and raise their families. The flipside is that when folks receive a notice that the value of their property has increased 20%, they assume their taxes are going up 20%. This is not exactly true. In 1976 during the high peak of inflation the Ohio General Assembly passed a bill called House Bill 920 (HB920). HB 920 was enacted to reduce increases in property taxes on voted levies for schools during a reappraisal (which is occurring in 2018 in Cuyahoga County) or a triennial update (in Cuyahoga County the last triennial update was in 2015). As property values go up, the effective millage rates of levies go down to effectively bring in the same amount of money. As previously noted, the reappraisal process happens every six years. In three years (2021) there will be a triennial update, which is when the County Fiscal Office looks at recent sales and provides an average increase to the community. During the reappraisal process, the County Fiscal Office’s internal and external appraisers go out to the communities and look at each and every home and business in order to assign them a value. This is comparable to the process followed when a house is sold and needs to be appraised. The average increase was 22% for the City of Lakewood; however, this does not mean that your home value will go up 22%. It may go up more or less partially dependent upon individual neighborhoods. The County Fiscal Office provided through September 14th an informal process for any resident who disagrees with their appraised, new value, to provide evidence showing the appraisal amount is not correct. After September 14th it is necessary to go through the formal process. The formal process begins starting January 1st and ending March 31st. A property owner can file a complaint with the Board of Revisions contesting the value of their home. The Lakewood Board of Education does not become involved with the valuation contestation of residential property (homeowners) unless the assigned market value is $250,000 less than the most recent sale price. However, the District does pursue valuation challenges on commercial real estate (businesses and rental properties) as it is important the District keeps the commercial properties valued at their appropriate rate. It also important to understand the difference between market value and assessed value. Market value is the price a property owner feels their home is worth or has been appraised, and an assessed value is the amount the county actually taxes the property upon. The assessed value of property is 35% of the property’s actual market value. For example, when a property increases by 20% that is market value. Only 35% of that is considered the assessed value for taxable purposes. Then because of HB 920 any prior voted tax levies would go down the proportionate 20%. 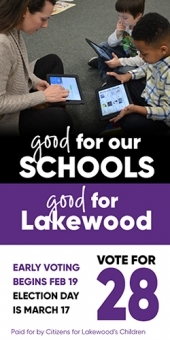 As an example, in May, 2013 Lakewood passed a 3.9 mill levy. That levy generated approximately $3.3 million dollars annually (starting in tax year 2013) for the District. As values have increased the effective rate of the levy has been reduced (HB 920). In 2017 the effective rate of the levy passed in 2013 has been reduced to 3.63 mills which generates approximately the same $3.3 million dollars annually. It will be further reduced once the 2018 valuations are final. As valuation increases, the effective millage rate goes down so that a voted levy does not bring in any additional dollars. This explanation makes it sound as if property taxes will not go up at all; and that is not 100% accurate. Every municipality has 10 mills of un-voted inside millage that is assessed to the community to help run the government in whatever means they decide to dole it out. When Lakewood came into being (instead of Rockport) 10 mills were put in place at that time to be divvied up between the City, the County, the library, the schools and other governmental subdivisions. Lakewood City Schools receives 5.03 inside mills. These mills are not subject to HB 920 and the above mentioned governmental subdivisions (including the Lakewood City Schools) will see an increase in revenue as a result of the valuation changes. In addition, HB 920 does not impact all levies; almost all millage approved in a city charter is exempt from House Bill 920. As property value rises, charter city taxes will also rise. A city council may decide whether it will levy all the millage allowed by its charter. All the other voted millage after 1976 has their effective rate decreased in order to bring in the same amount of money. This is why school districts continually go back to the community for additional levies in order to raise additional dollars. The only way a school district can keep up with inflation is to ask the community to support additional operating dollars, which this Board did in May, 2013 in the amount of a 3.9 mill levy. These percentages will also change once the 2018 valuations have been finalized. Thank you for your committment and continued support for the children of Lakewood and the schools that serve them. If you have any questions please feel free to contact Kent Zeman, CFO/Treasurer, Lakewood City School District, email - kent.zeman@lakewoodcityschools.org; or phone 216-529-4096.